Easy to use asbestos roof repair kit to seal roof and holes effectively for long-term results. 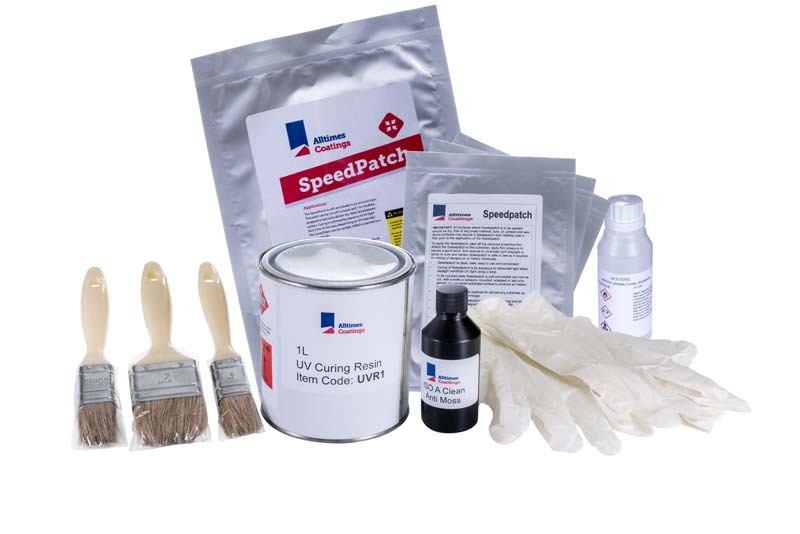 Instantly seal holes and gaps in your asbestos roof with the highly durable cut-to-size SpeedPatch Kit, and stop leaks today. 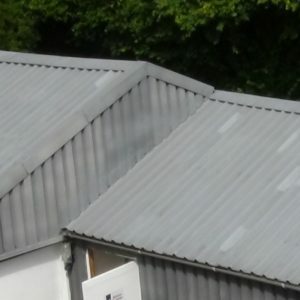 How much is it to dismantle and dispose of an asbestos roof? And yet it might be just holes in your asbestos roof or gutter. 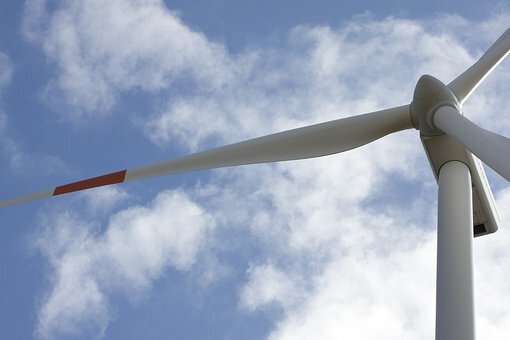 How can little golf-ball sized holes end up costing you so much? Not to mention the risk of distubring asbestos that way. 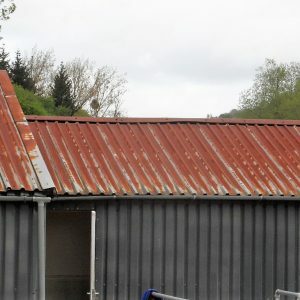 That’s why we’ve made it easier than ever to fix your own asbestos roof, and still get an effective repair that’ll remain watertight in the long run. How? By using expert solutions that outlast other instant repairs that you’ll find in your local hardware store. Start as you mean to go on. 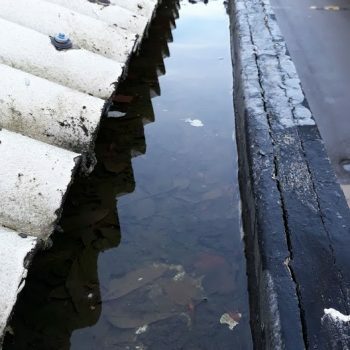 Do a thorough clean and your asbestos roof repair can be 100% weatherproof in the long run. Use a soft brush to remove moss, dirt and grime around the hole. Ensure you clean well beyond the hole and affected area. 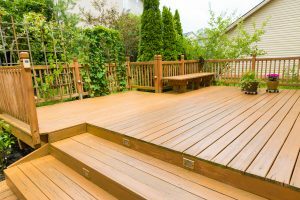 You should be left with an area free of dirt and grime. 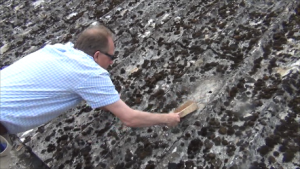 Moss and dirt have been the downfall of many well-meaning DIY roof repairers. But not you. Every kit is equipped with the powerful biocide, A Clean. 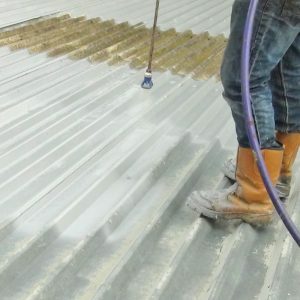 This was developed by the market leaders in roof coatings in the competitive markets of Scandinavia and northern Europe, and it’s now available for your asbestos roof repair. Mix 1 part A Clean to 50 parts water, dip the brush in and wash the surface clean. 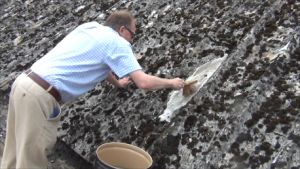 Now moss and spores won’t develop under the repairs and you can stop leaks for longer. 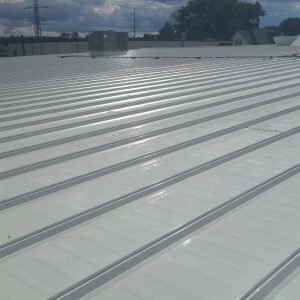 Most porous surfaces need priming to allow proper adhesion and long term weatherproofing, and your asbestos roof is no exception. This kit comes with a UV curing resin that will dry when exposed to sunlight, making it clean and easy to use. Wait for the surface to dry after your thorough clean, and then paint the primer onto the damaged area. 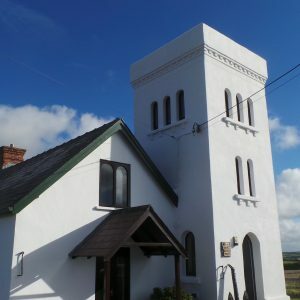 Completely cover the hole and the surrounding area with a generous amount of primer. Wait for this to dry before applying the SpeedPatch. Drying/curing time will depend on the day’s brightness, and you can use a UV light to speed up the cure. Surface well prepared and primer all dry, and you’re ready for the main event. 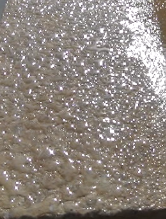 SpeedPatches are UV cured, so exposure to the daylight will begin to turn them rigid. With this in mind, it’s best to handle the patch carefully, keeping it as much in the shade as possible (even if the only shade that day is from you). Cut open the foil packet and cut the patch to size. Keep in mind that it’s best to cover well beyond the hole for added durability. One side of the SpeedPatch is covered with a sun-blocking tape. Keep this on until after application. This is the side that faces toward the sky. On the other side there is a clear film which you can now peel off. Apply the speedpatch over the hole so that the sun blocking tape faces up. 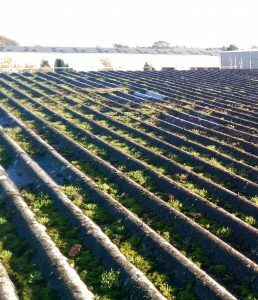 Apply pressure where it’s safe to do so and ensure that all areas are properly adhered to your asbestos roof. Peel off the black tape and continue applying pressure, particularly around the edges of the patch. 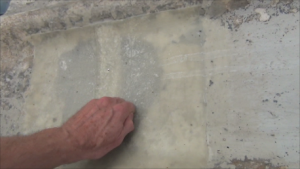 Bigger holes and severely chipped sheets can also be suitable for repair, although you’ve got to make sure that the speedpatch can get enough space around the damaged area. You’re so close to having a beautifully sealed asbestos roof. We believe these solutions are the best in the business. We wouldn’t be selling them to you otherwise. 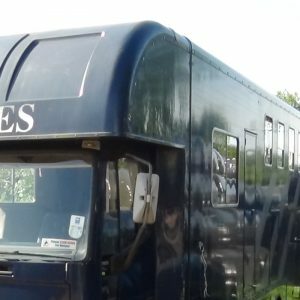 So get in touch and tell us more about your project, preferably with some pictures, and we can get the ball rolling on your repair. Forget the expense of contractors and asbestos dismantling and disposal. These are DIY kits that can save you time and money and make your repair quick, easy and effective in the long run. 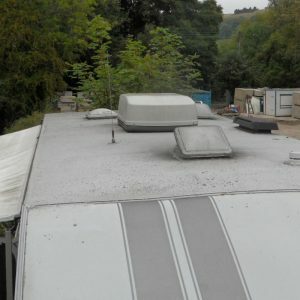 So, you know you’ve got a leaking roof, but what else do you know about your asbestos roof? Can you see any holes? If so, how big are they? Can you see any cracks? Are they just hairline ones or bigger? 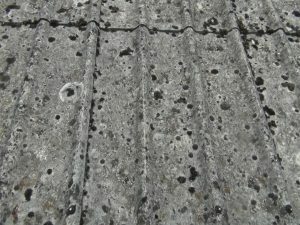 Got both holes and cracks in your asbestos roof? 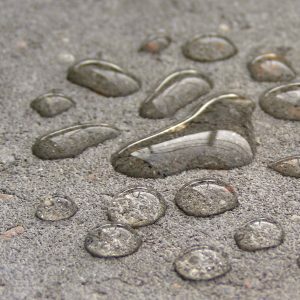 Have you got any generally porous areas where liquid is seeping through? Is rain coming through the boltheads? Is it an unknown leak? Not to worry. You can pop a fibreglass style repair patch over the hole to completely seal it. 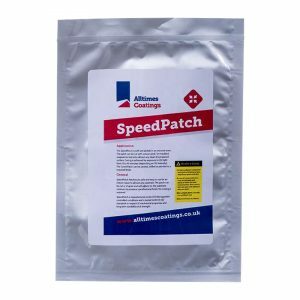 These are called SpeedPatches and they’re perfect for covering holes in asbestos roofs and remaining waterproof in the long run. Having been used for years to seal holes in roofs of all kinds, they’re backed up by a reliable service history. Plus they’re super easy to use. 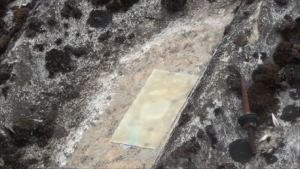 The SpeedPatches can be cut to size and used on holes from minuscule sizes up to 22cm x 12cms, although the bigger the size the less the SpeedPatch has to grip onto either side of the hole, which could affect longevity. There are three different sizes of kit so you can find the perfect match for your project. As well as SpeedPatches, you’ll need some A-Clean and UV Curing resin to properly prepare the area. You can get everything you need, as well as gloves, brushes and a guide with the Asbestos roof and gutter hole repair kit. Easy. Pop some tough rubber butyl tape over the crack after a quick prime. 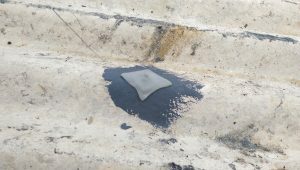 Unlike bitumen or acrylic based solutions which crack in the cold and expand in the heat, butyl rubber is built to withstand temperature changes and stop your leak in the long run. This kit uses the foil backed butyl tape which means the rubber won’t break down after relentless sun exposure. 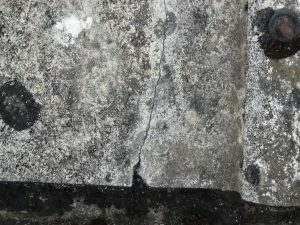 Cracks in worn asbestos cement are fairly common, and this crack repair kit was designed for quick and easy use. 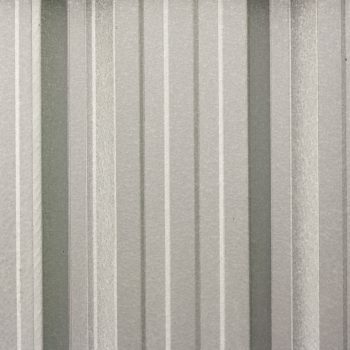 The tough butyl is 100% weatherproof and easily fits over hairline cracks so you don’t have to be an expert to repair your roof. These are top quality products that have been chosen after years of real world testing. 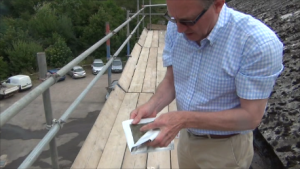 The result is that they make it easier than ever to repair your asbestos roof. 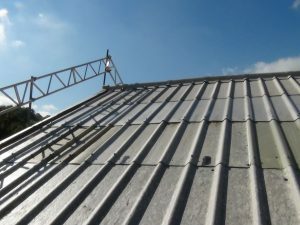 For the foil backed butyl to create a watertight seal, your asbestos roof needs to be cleaned and primed first. 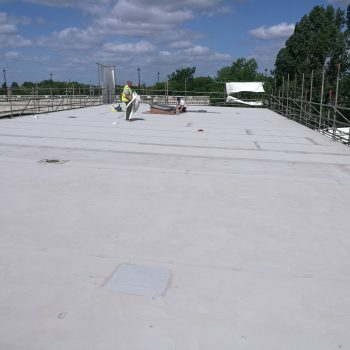 This kit gives you everything you need, including the roof biocide A-Clean and a specialist primer. 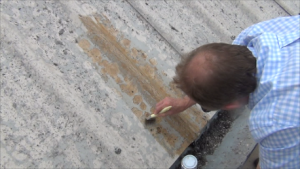 Check out the Asbestos Crack Repair Kit and get your leak sealed before the next rainfall. You’re not alone. 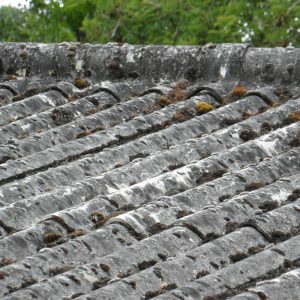 With the amount of asbestos roofs out there in the UK, chances are some of your neighbours’ roofs are also shot through with holes and cracks. Not to worry. That’s exactly why we’re here. 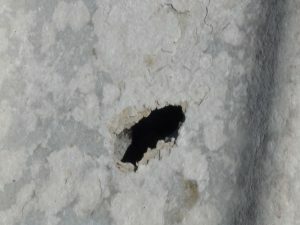 For both holes and cracks, it’s best pick up both the Asbestos Roof and Gutter Hole Repair Kit and the Asbestos Crack Repair Kit. 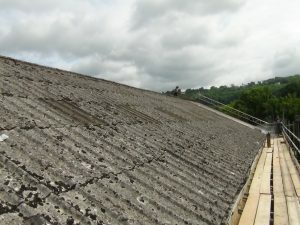 Equipped with both you can seal both the holes and cracks in your asbestos roof and get a watertight roof in no time. 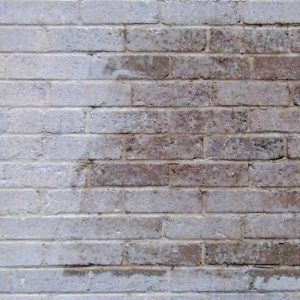 Cracks can cause huge amounts of water to leak into your property and cause havoc to machinery, furnishings and interior walls. 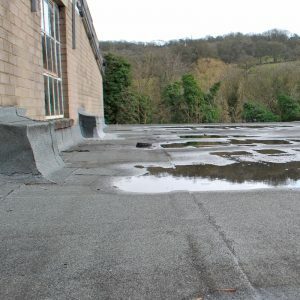 Coupled with generally porous roof sheets, your roof could be as useful as sieve during the next storm. It’s easy for you to wake up one morning to find irrevocable damage to your building. That’s why we’ve invented a kit to stop those leaks today and with only one repair method necessary. This kit gives you the mighty fleecebacked butyl tape. 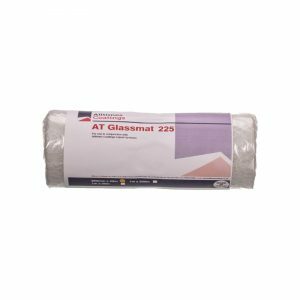 Combine this with our most popular instant repair StopGap, and you’ve got a highly durable and watertight seal that can stop your leaks today. 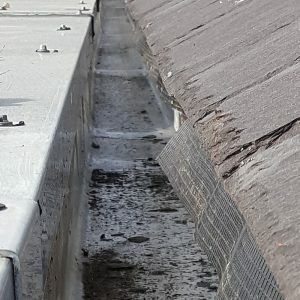 The fleece fixed to the weatherproof butyl tape will embed itself to the StopGap, creating a reinforced repair that can outlast many standard DIY roof repair products. Get everything you need, including gloves, brushes and a step by step photo guide that makes appication easy. 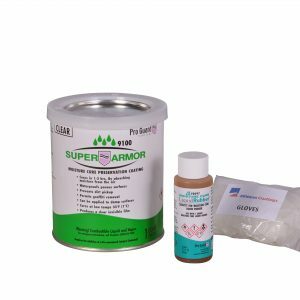 Built by experts, this kit is designed to seal your roof asap and save your building from further water damage. 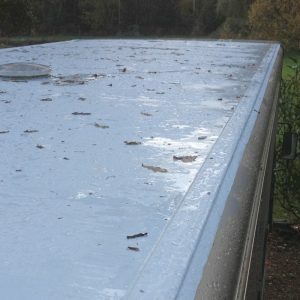 Check out the Asbestos crack and roof sheet repair kit to save your property. 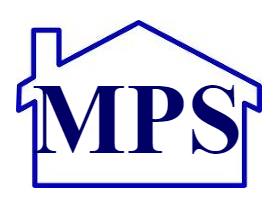 Forget asbestos disposal fees and sleep easy knowing you’ve saved yourself heaps of time and money. 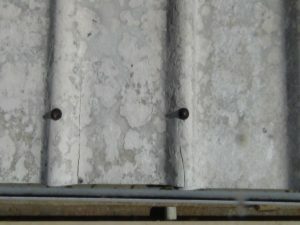 Bolts in asbestos roofs can often be the cause of roof leaks, and many people are led to believe that replacement or overclad are the only options. 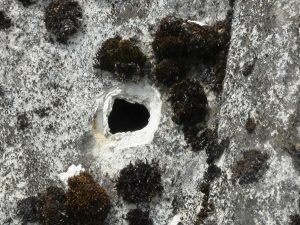 The bolt holes can expand after years of temperature changes and let your roof down. 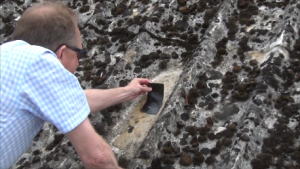 That’s why we’ve dedicated this asbestos roof repair to sealing your bolt holes. Unlike vulnerable bitumen or acrylic based repairs, this 6mm thick butyl tape has the durability to waterproof your roof in the long run. Coupled with the UV resistant and reinforced StopGap, this butyl provides a watertight seal around the whole bolt head. You can get everything you need to seal your boltheads and weatherproof your roof with the Asbestos Roof Bolts Repair Kit. 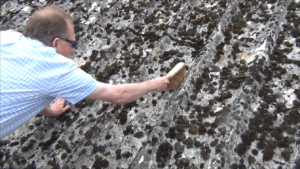 Moss, dirt and grime can conceal exactly why your roof is leaking. 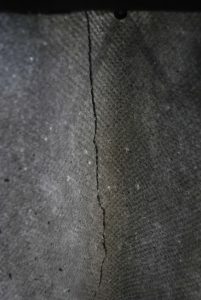 Under all that dirt there could be holes, cracks and generally damaged sheets, all contributing to your problem leak. The first thing you’ll need to do is to give your roof a good clean. 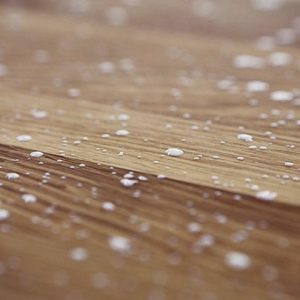 Use the specialist Biocide A-Clean to get a completely clean surface that’s ready for repair. Next up you’ll need to consider whether or not it’s best to patch repair parts of go for a complete refurbishment. Patch repair will be along the lines above. 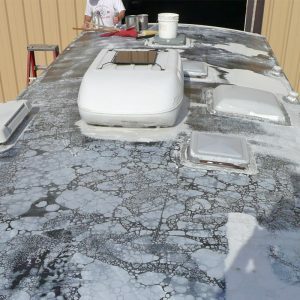 And for refubishment, we reccomend using the highly durable coating AsbestosProof to completely seal the roof. 1) Do I need any extra tools or experience to apply it? No. This is a complete DIY kit. You’ll get everything you need to stop the leak. 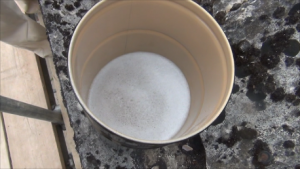 The only extras you’ll need is a bucket to mix the A-Clean and water together, and a soft brush for the cleaning. This can be a standard dustpan style brush, so long as the bristles are soft. 2) Why should I get a kit? All of the products in the kit have been carefully selected. They’re generally more durable, longer lasting and easier to apply than what you’ll find at the local hardware store. 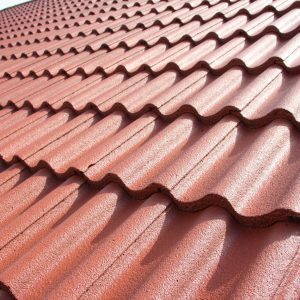 Roofing contractors have been using these materials for years, and they’re now available to you. It’s also more cost effective to order a kit than to buy the items seperately. 3) How long will the repair last? 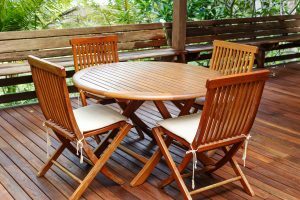 You should expecct 5-10 years, but it could be much longer, or shorter if it gets damaged. There’s no clear cut answer for this as it’ll depend on the roof conditions and future weathering. What we can say is that the butyl tapes can easily outlast many other solutions. 4) Is asbestos safe to repair? Yes, so long as you follow HSE guidelines. Keep yourself safe at all times. 5) Why should I use butyl tape? Butyl is a tough rubber that can handle temperate change and building movement. 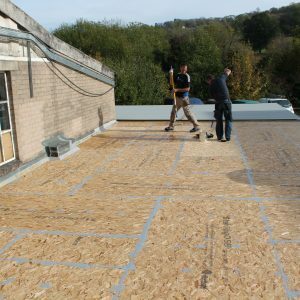 This sets it apart from other roofing tapes and solutions, particularly bitumen which has a reputation for cracking in the cold. The butyl is completely waterproof and forms a well adhered seal when combined with a coating or primer. 6) Why is the butyl tape foil or fleece backed? 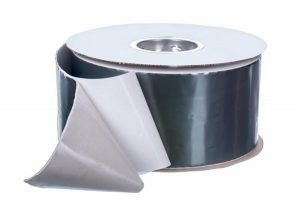 The foil provides a UV resistant barrier to protect the rubber tape from sun exposure. And the fleece reinforced the tape and holds any subsequently applied coating. 7) Why use a SpeedPatch to cover holes? Unlike tapes or matting, a SpeedPatch is a tough barrier that’s made from GRP laminate. 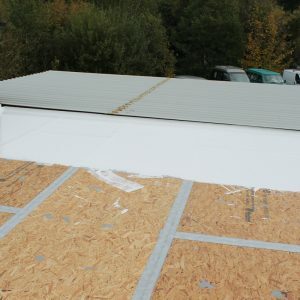 This is easy to cut to size and shape around roof contours. 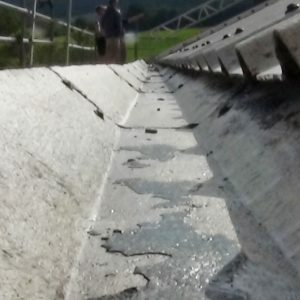 The SpeedPatch cures when exposed to sunlight and forms a strong rigid barrier over holes. Combine this with the UV Curing primer and you’ve got a watertight seal that will go on year after year. It’s not as difficult as you think to stay safe when working with asbestos. 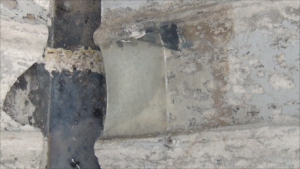 Simple HSE regulations can protect you from fibres and give you a quick, easy and effective watertight repair. The HSE reccommend using a biocide on asbestos cement, and the ISO-A Clean is included with every kit. When in doubt, consult the HSE guidelines on Asbestos Essentials or you can get in touch here. A clear liquid rubber repair kit for unexpected emergencies. Contains: 1 x 1″ brush, 1 x pint tin Super Armour, 1 x pair gloves. 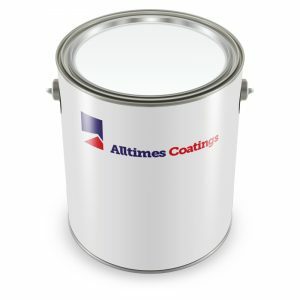 Unpigmented primer with excellent penetration. 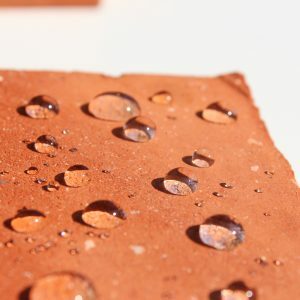 ISO Silicone Facade Primer is hydrophobic and enhances the substrate. 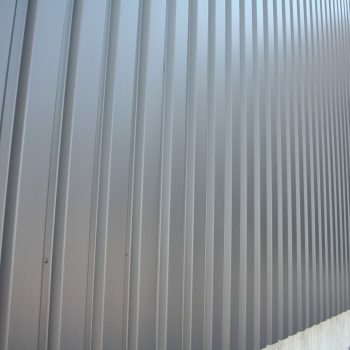 It is used before treatment with ISO Silicone Facade Paint.